It’s a full-fledged Web client, with access to all the same features you’ve come to expect from the service, including voice and audio calls. If you’ve used Hangouts on Gmail before, the interface will be largely similar, with the main difference being a large contacts list and a randomly selected wallpaper. Previously, the only official way to access it on your PC were via a Chrome extension, a Chrome desktop app or through one of Google’s other services like Gmail or Google+. The new Web app features links to the mobile apps and the aforementioned Chrome one to help make sure you’re connected to Hangouts on all your platforms. 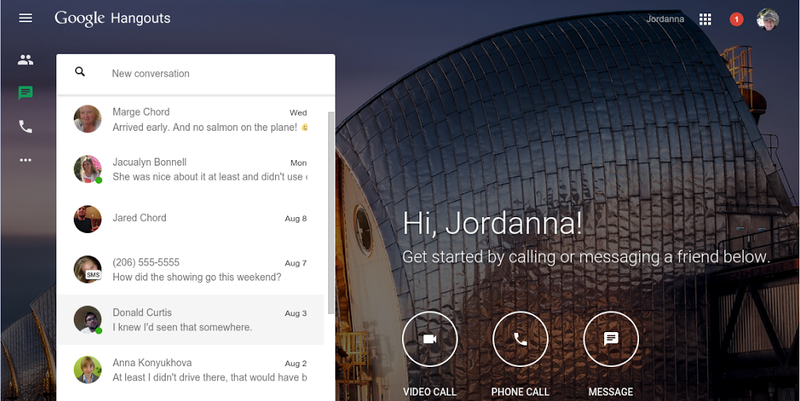 Given the messaging client is such a staple of Google’s ecosystem, it’s somewhat surprising this hasn’t been done before. Still, we’re sure many will welcome the Web interface. It’ll come in handy if you only want to access your Hangouts conversations without risking someone overseeing your emails or Google+ account, or if you want to simply chat with your friends without the clutter of email and social media.